Spring has nearly sprung, but we’re growing impatient. So in an attempt to coax our favorite season out of its shell, we added a few new products. These are for you, Gaia—wake up! 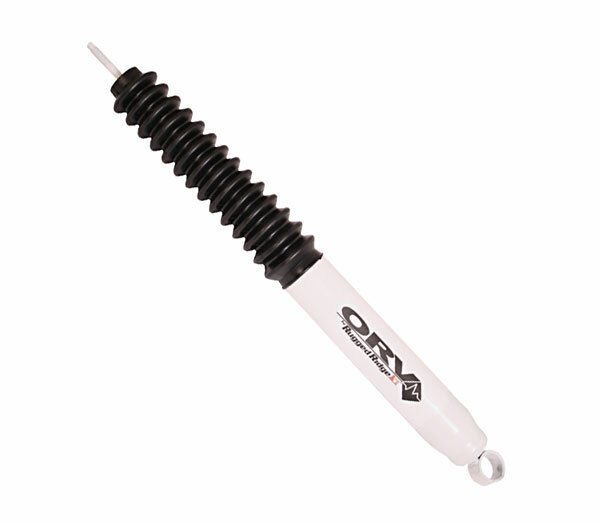 ORV Jeep Shocks—The only thing I’m shocked about is that you’re still off-roading without these deluxe shocks. These bad boys are charged with 150psi of pressurized nitrogen gas. You’d have to eat about a half-pound of dried prunes to generate that kind of gas charge. 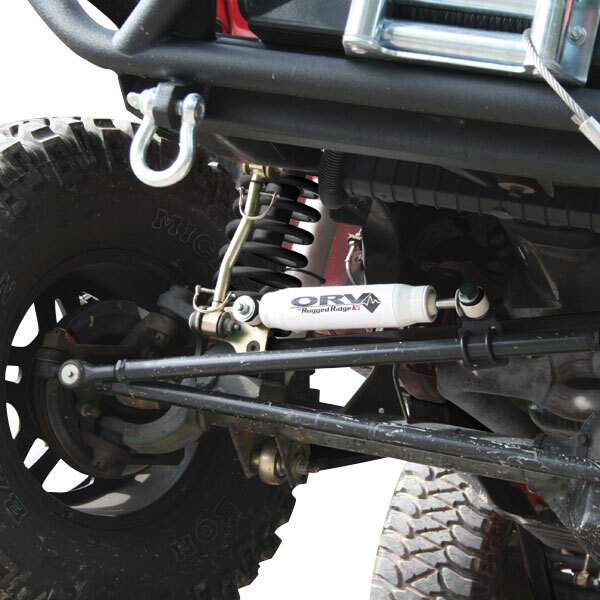 ORV Jeep Steering Stabilizers—Couldn’t your Jeep use a little more support? ORV Jeep is here with quality steering components to carry you through your times of trial and suffering—it’s the one set of footprints in the sand for your chassis. 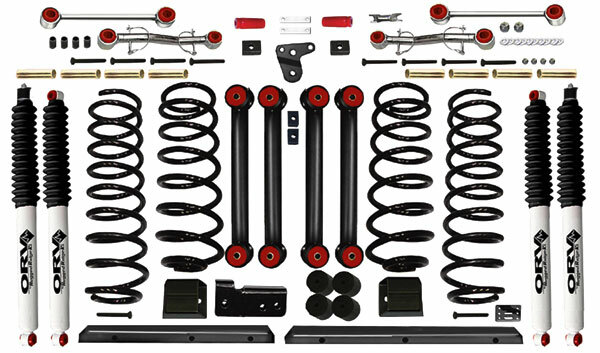 ORV Jeep Lift Kits—Your Jeep could use a pick-me-up, too. But it needs something a little stronger than a slug of Monster to conquer the badlands. 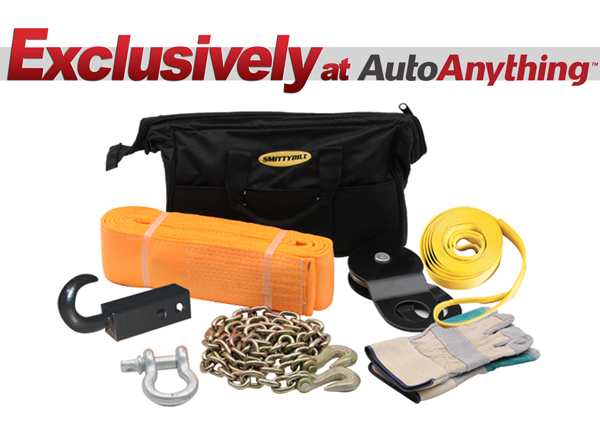 Beef it up with an expertly engineered suspension lift kit. 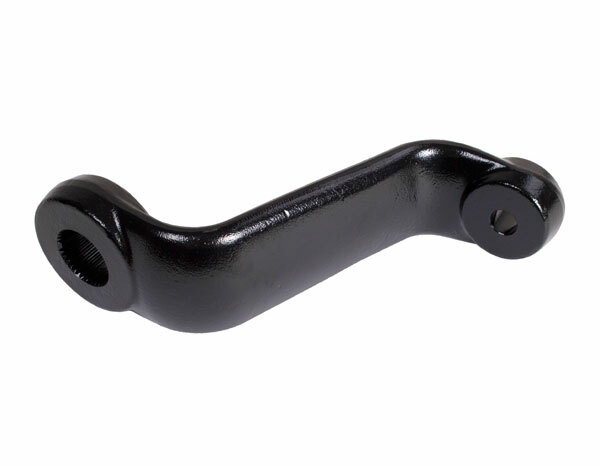 ORV Jeep Drop Pitman Arms—Working like a marriage counselor, the drop pitman arm bridges the divide between your suspension and steering system. 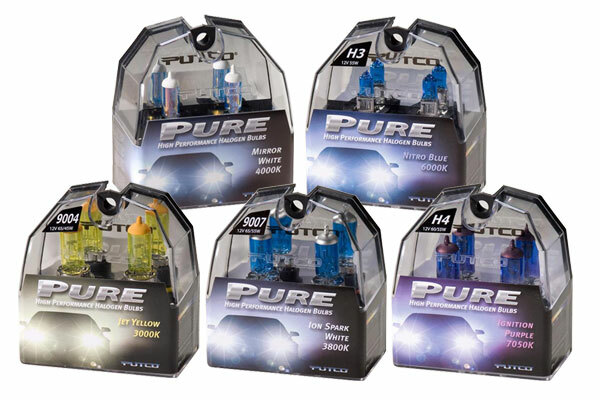 Putco Halogen Headlight Bulbs—With an assortment of 5 brilliant colors, these headlight bulbs let you cast Skittle’s flavored light onto the streets. Best of all, they’re available in all standard bulb sizes, including 880, 9004, 9005, 9006, 9007, 9008, H1, H11, H13, H3, H4 and H7. 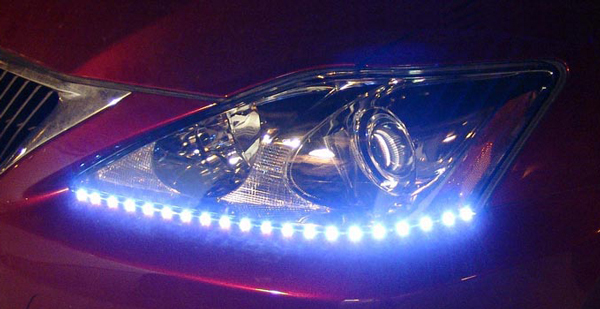 Plus, we also stock a wide range of blue headlight bulbs and white headlight bulbs for both halogen and Xenon headlights. 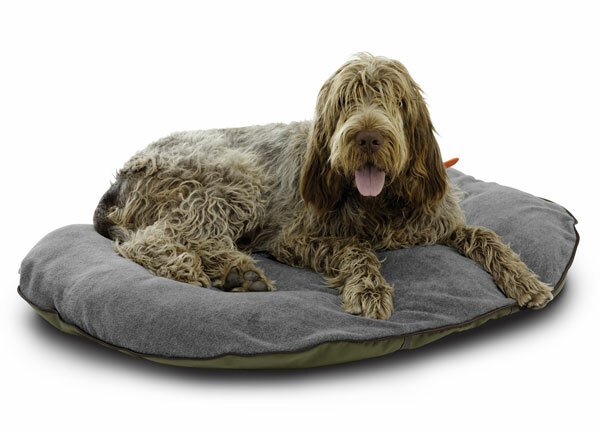 Heritage Dog Travel Bed—You know what they say: let sleeping dogs lie…on a dog travel bed. 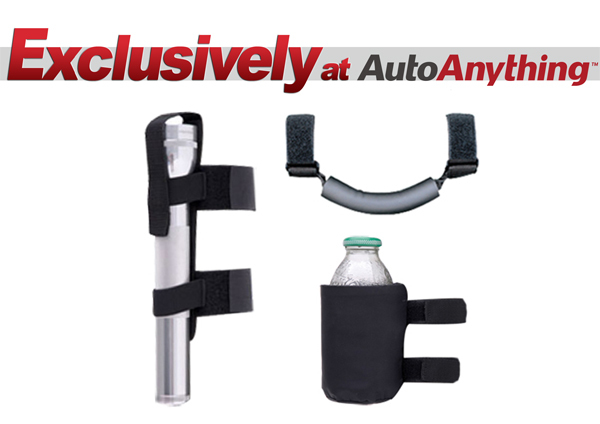 And, this pet travel accessory folds in half, zips up and sports built-in carrying straps, so it’s perfect for Rover road trips. 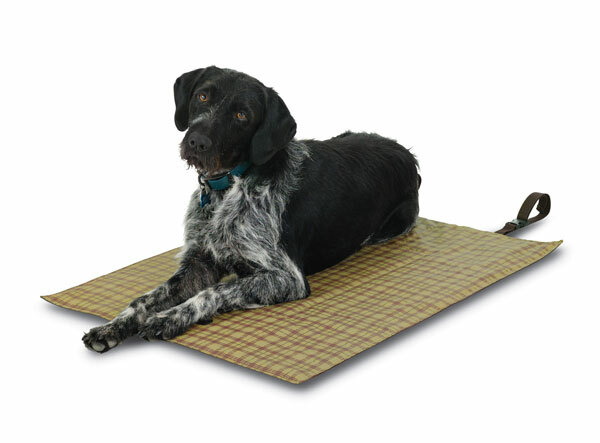 Heritage Kennel Mat—Like a Japanese tatami mat for your pooch’s kennel, this flooring from Heritage makes your dog’s kennel seem more like a little home and less like a little prison. 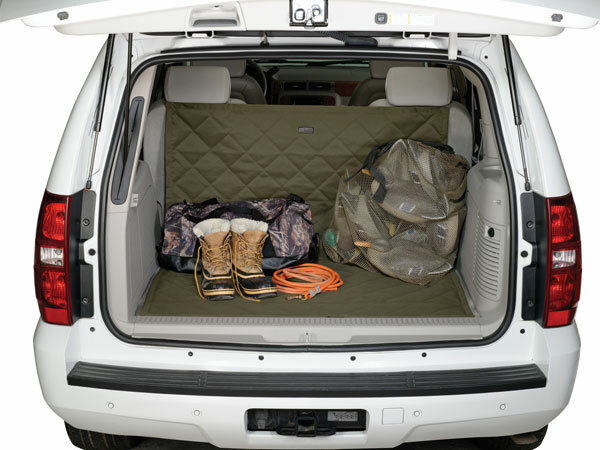 Heritage Cargo Protector—Whether you’re hauling home the bloody trophy of your unlicensed hunting trip or just toting around some sunflower seedlings, this cargo liner defends the inside of your ride’s rear from harm. 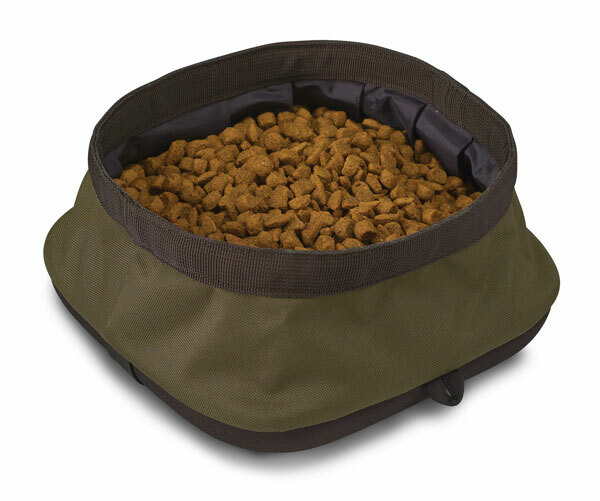 Heritage Collapsible Dog Bowl—If your GladWare just isn’t cutting it anymore, feed your traveling Cujo from this premium dog travel bowl. 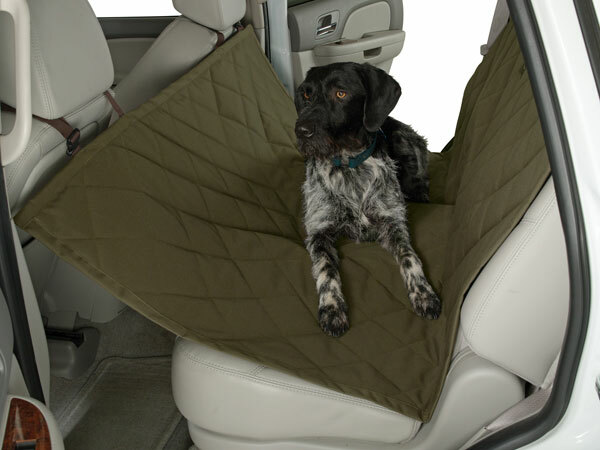 Heritage Dog Car Hammock—Your old, worn-out bed sheets can only provide a little bit of protection against the constant onslaught of your K9’s slobber, paws and accidents. 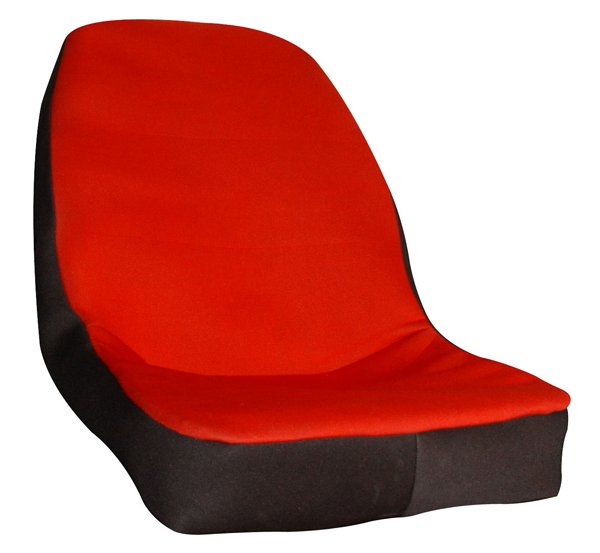 Dress your interior with a proper dog seat cover for the ultimate defense. 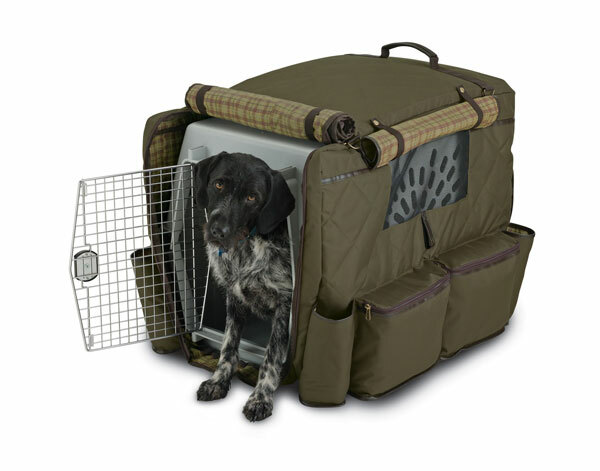 Heritage Kennel Jacket—Not to be confused with any DoggieCouture jacket Paris Hilton would put on her Chihuahua, this kennel jacket snuggles up to your dog’s portable home. It’s a few weeks into a sprung spring and we’re celebrating proper with colorful new products. Taste the rainbow. 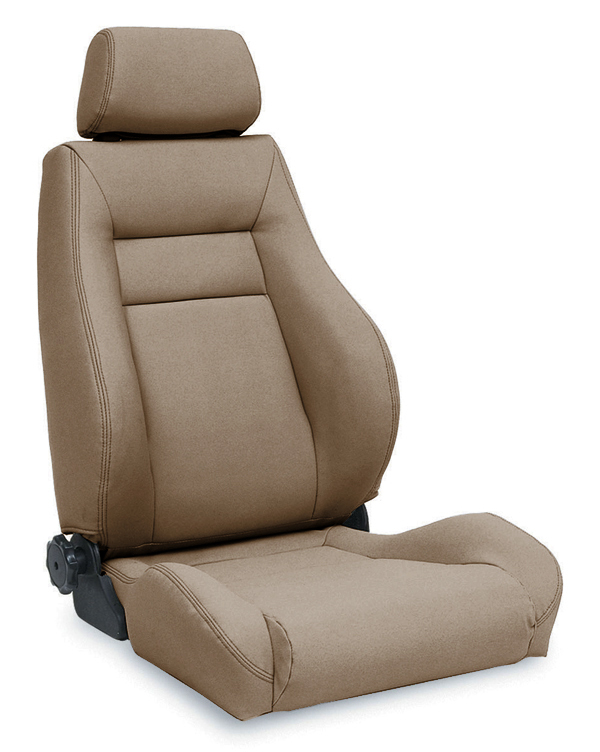 Rampage Jeep Seats – Comfy as a La-Z-Boy and made custom for Jeep, Rampage Seats spruce up a rag-tag interior. 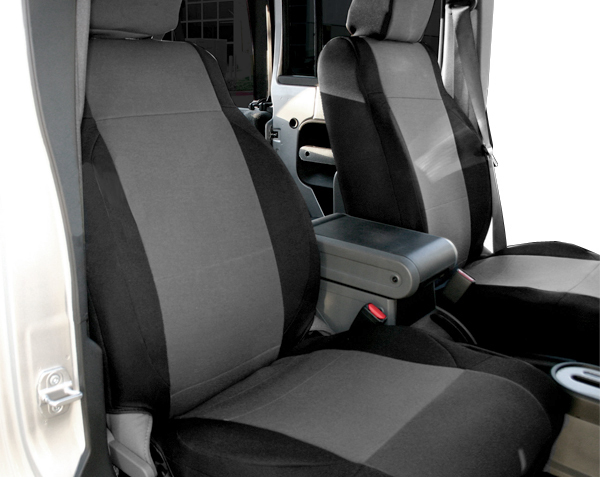 Rampage Jeep Seat Covers – These seat covers beg for a beating. Custom-made from durable neoprene, they stand up to abuse and look good doing it. 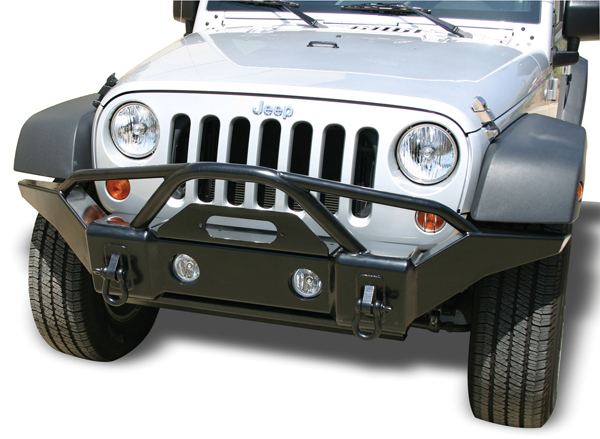 Rampage Jeep Recovery Bumpers – Because there’s nothing worse than getting stuck between a rock and another rock, we’ve got Rampage Jeep Recovery Bumpers. 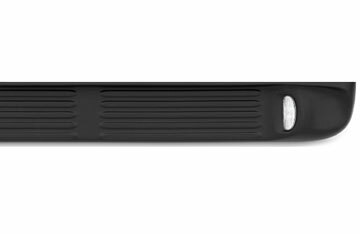 Rampage Jeep Rock Rage Bumpers – Rock Rage Bumpers are ideal for plowing through the great outdoors or protecting your Jeep in the urban jungle. 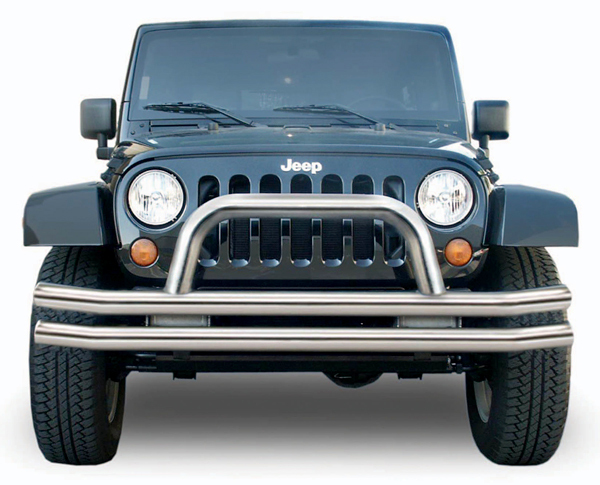 Rampage Jeep Tubular Bumpers – Tubular bumpers are another stellar option for the Jeep that knows no bounds. 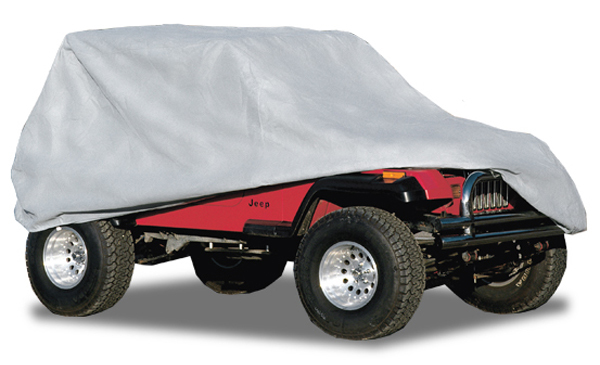 Rampage ATV Covers – For a day or a season, these ATV & UTV covers protect your mini off-roader. Rampage UTV Neoprene Seat Covers – Neoprene construction, intense off-road looks. 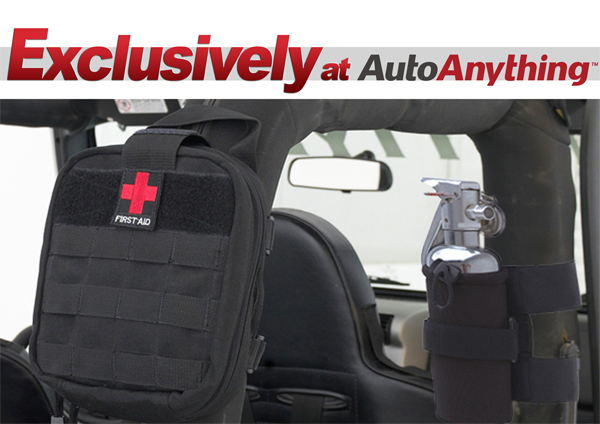 And, these UTV seat covers come in 3 sporty styles. 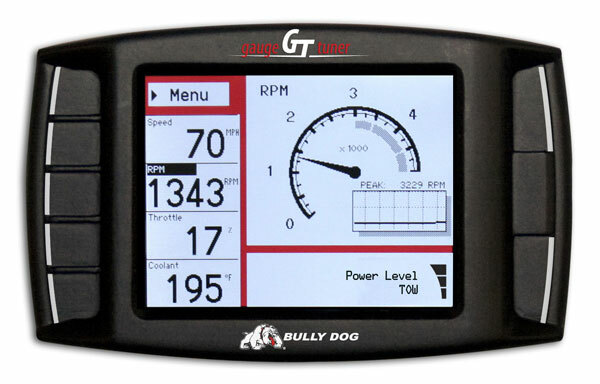 Bully Dog Triple Dog GT Tuner – Boosts HP, increases MPG—you know the drill. Only available for power-hungry diesels at the moment. T-Rex Hex-Series Billet Grilles – If you were a ferocious dinosaur, you’d be a T-Rex. If you played in an English glam-rock band, it would be T. Rex. 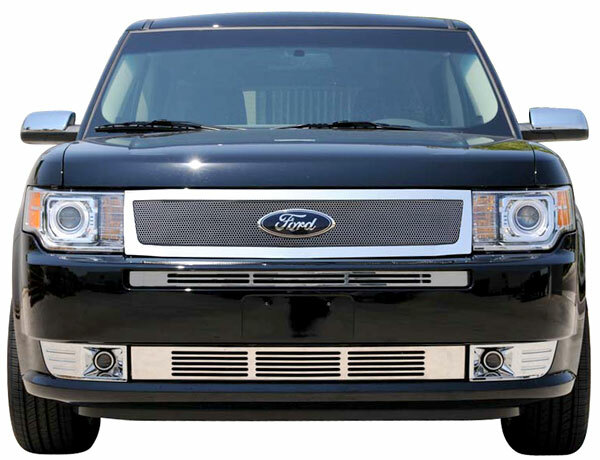 And, if you install a new billet grille, that grille should be a T-Rex. 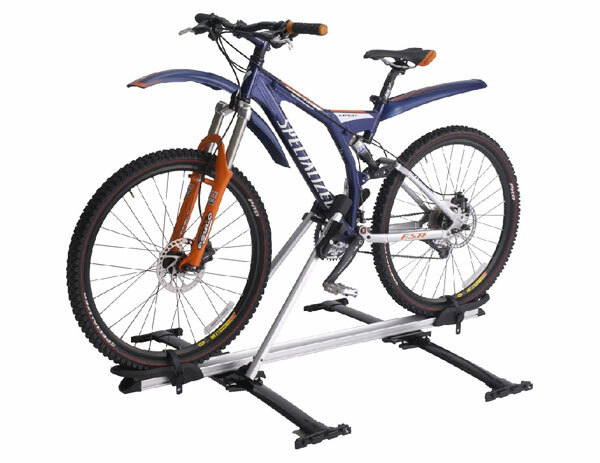 Hauler Rack II – Incredible 1200 lbs load capacity, brawny construction and a partially assembled bolt-together design. 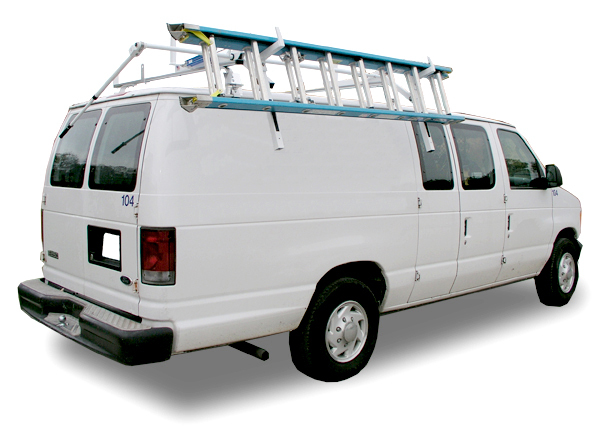 Hauler Racks Van Drop Down Ladder Rack Accessory – Makes life with the Hauler Racks Universal Van Rack that much easier. 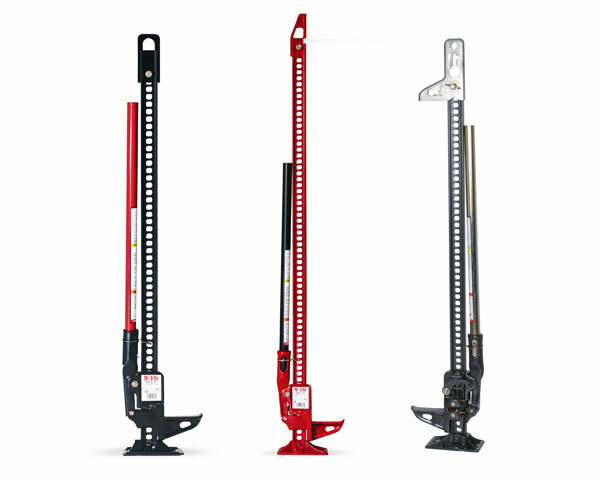 Telescoping handle rotates the rack from the roof to the side of the van for more convenient ladder loading. 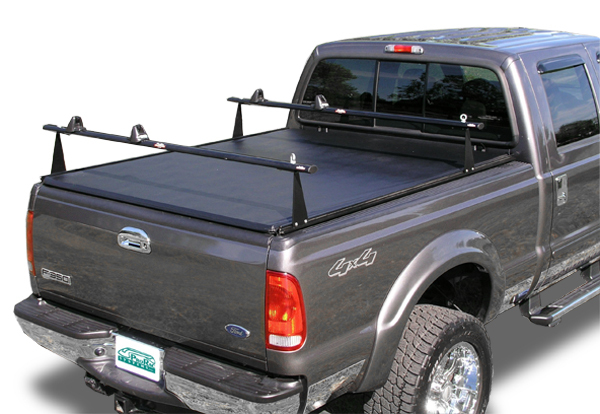 Hauler Racks Tonneau Rack – Hauls bikes, camping gear, tools and more, plus works with your over-the-rail soft tonneau. 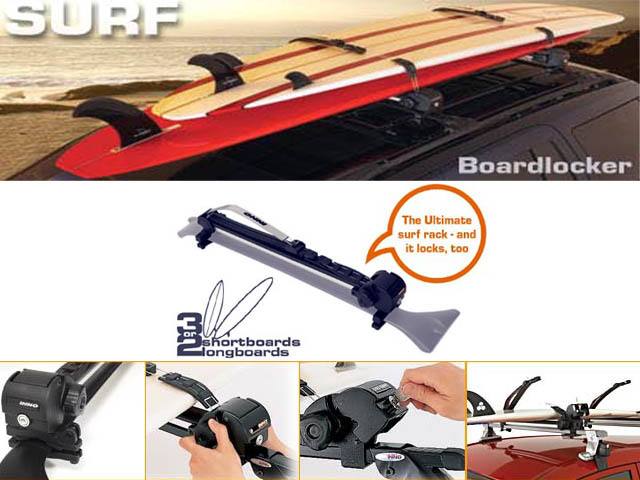 Easy installation, adjustable crossbars and Sport and Utility style options. Extang Cargo Cleat – In, The Narrative of Arthur Gordon Pym of Nantucket, Pym is nearly crushed by cargo while stowing away in the hold of the ill-fated “Grampus.” If Poe’s protagonist had Extang Cargo Cleats (and was hiding in a pickup bed instead of a ship’s hold) he would have been safe thanks to the 500 lbs load rating. 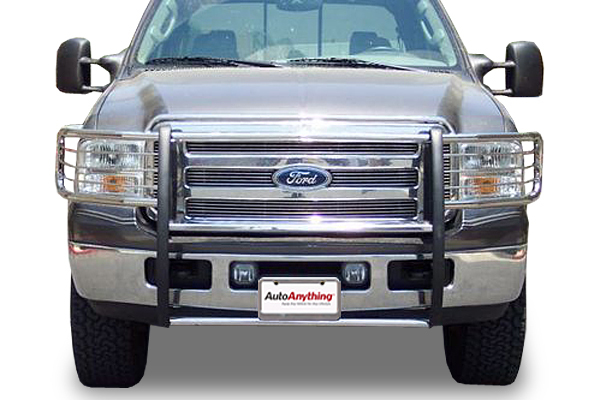 Steelcraft Bull Bar – This front end guard is forged from T304 stainless steel for ultimate protection, plus comes with a removable skid plate. Black or Polished finish. 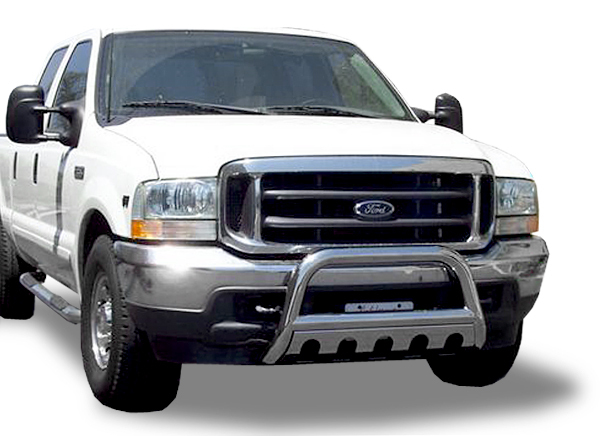 Steelcraft Grille Guard – A heavy-duty facemask for trucks and SUVs, this grille guard boasts T304 stainless steel construction and removable brush guards. Black or Polished finish. Curt Spare Tire Mount – When you’re loaded down with gear, the Curt Spare Tire Mount makes it easy to bring along that spare. 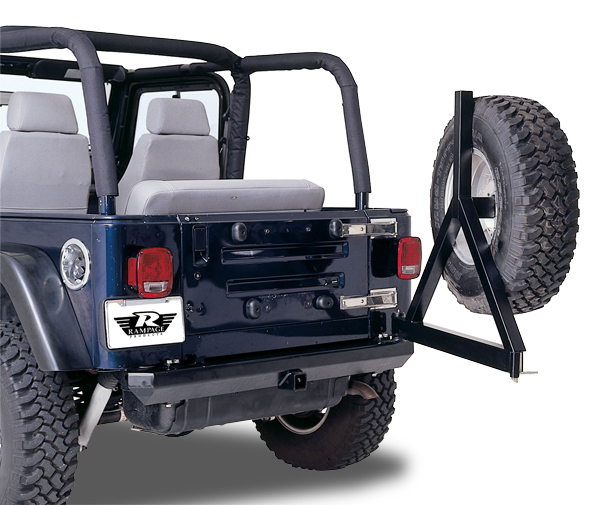 Fits into front or rear 2″ receiver hitches and works with all sizes of tires and rims. 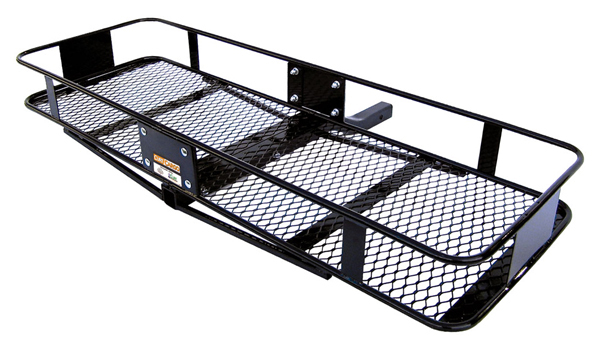 Curt Cargo Carrier – Bring along all of your wet, messy or stinky gear with this handy hitch-mounted cargo carrier. 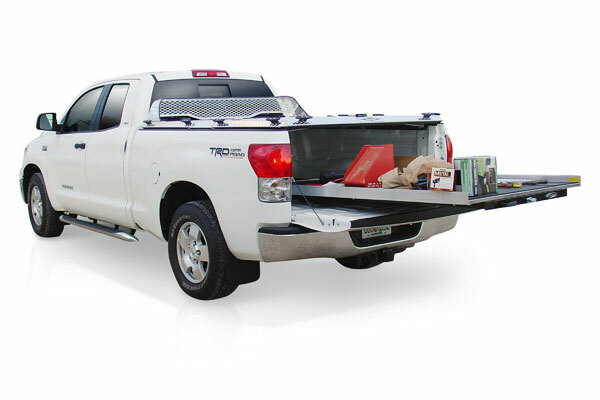 The tubular steel construction securely carries up to 500 lbs. 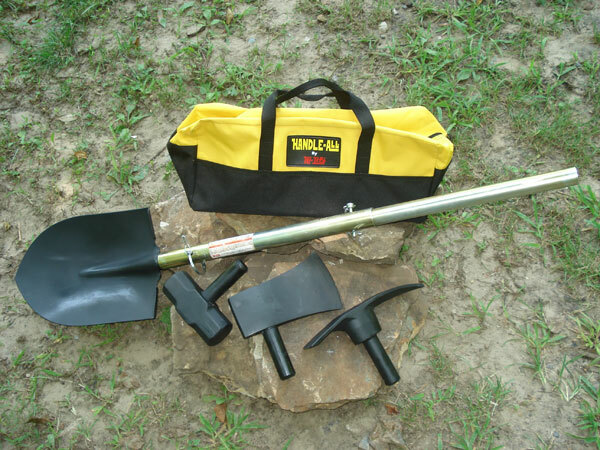 Available with a fixed or folding shank. 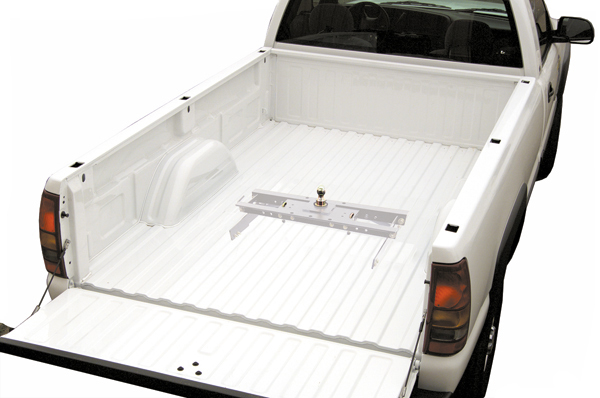 Curt Skid Shield – Plug an extra layer of defense into your front-mounted receiver hitch with this tough skid shield. Fits all 2″ receivers.1-year warranty. 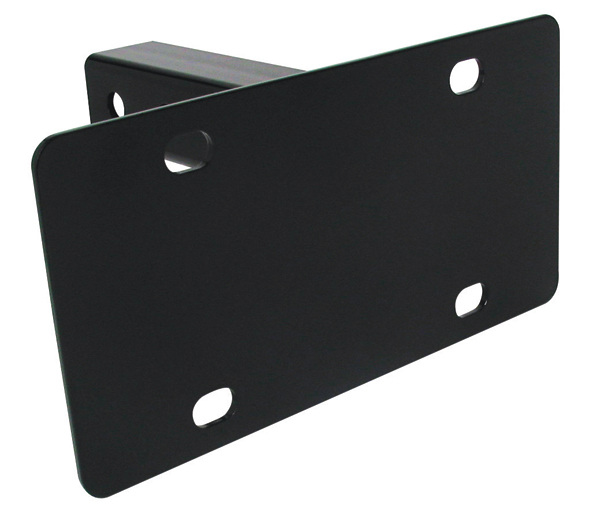 Curt License Plate Holder – If a front-mounted hitch has displaced your license plate, this handy holder is a great solution. Fits all 2″ receivers.1-year warranty. 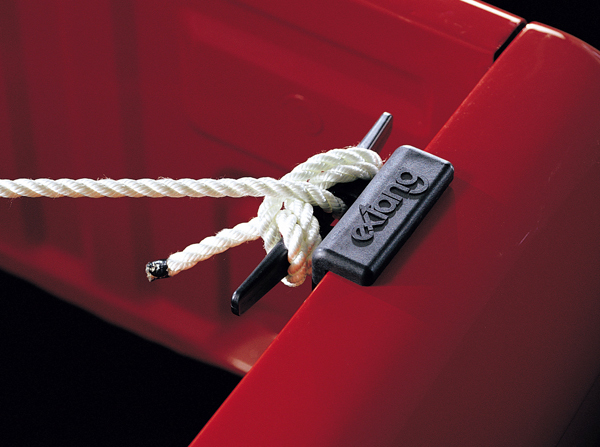 Curt Trailer Lock – Make sure thieves don’t take off with your trailer with this dual-ratchet locking system. Fits all couplers. 1-year warranty. 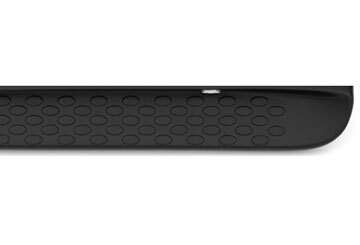 Curt Step Pad – Step up to your vehicle with ease. 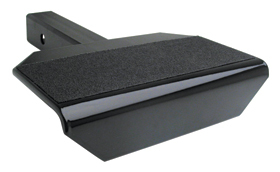 The Curt Step Pad fits in any 2″ receiver and has a skid resistant step pad. 1-year warranty on this hunk of metal. 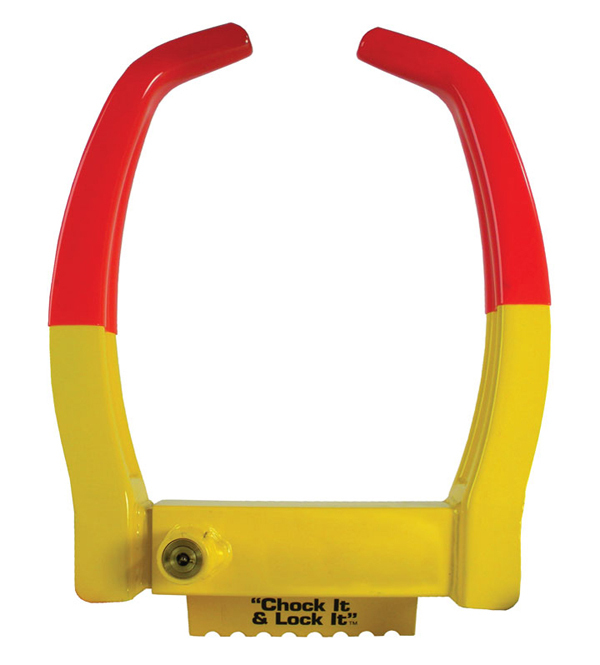 Curt Wheel Chock Lock – Keep those wheels from rollin’ away! 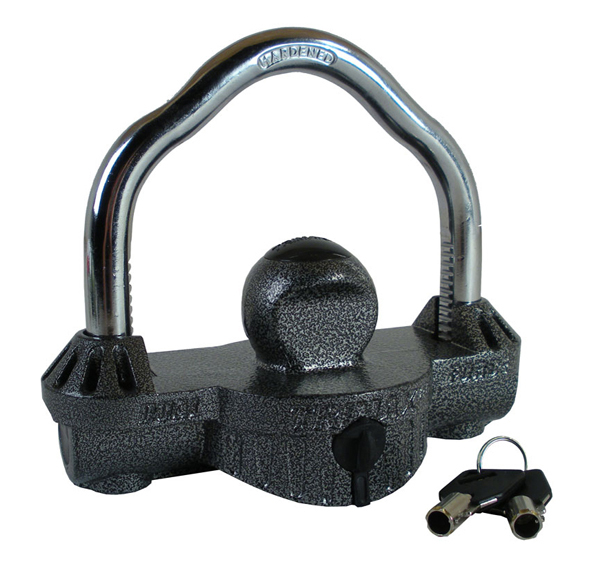 The Curt Wheel Chock Lock fits a variety of tire and wheel sizes. 1-year warranty. 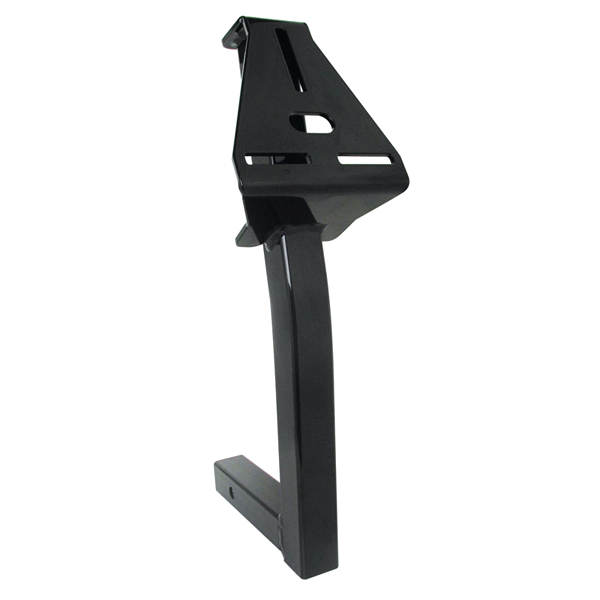 Curt Winch Mount – Bolt that winch right on to the front of your rig with Curt strength. Available with or without handles, 1-year warranty. 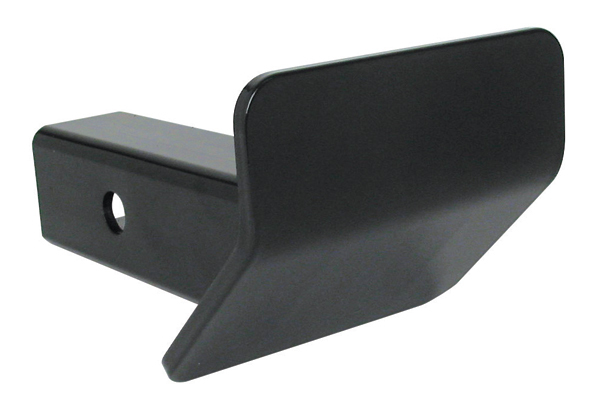 Valley Gooseneck Hitch – Add up to 30,000 lbs of hauling capacity that neatly tucks away when not in use. Backed by a 5-year warranty. 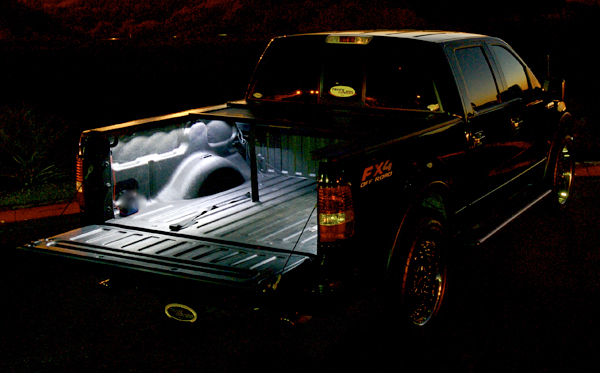 Truck Covers USA Cargo Lights – Like a nightlight for truck bed cargo, American Cargo Lights nix blind grabs for your tools. Kits and strips available. 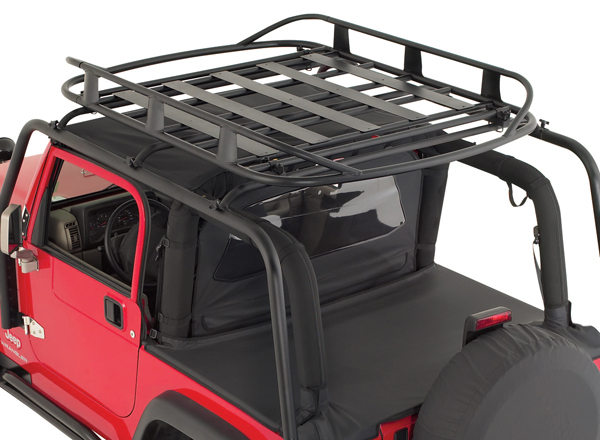 A number of the new products we’ve added are for Jeeps and there’s more on the way, so be sure to check out our Jeep Accessories department, which now sports 2 new categories: Jeep Center Consoles and Jeep Seats & Jeep Seat Covers. If you ever get your Jeep stuck in some mud that’s as thick as this, do your self a favor and dig it out.